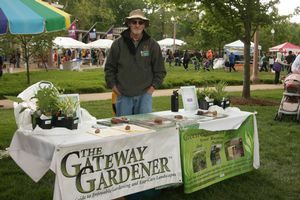 "Your Guide to Enjoyable Gardening and Easy-Care Landscapes"
The Gateway Gardener represent the green industry at green functions throughout the year, including Earth Day at Forest Park. The Gateway Gardener Magazine is a publication dedicated to promoting successful gardening and enjoyable outdoor living in the greater metropolitan St. Louis area. We’re all about sharing the best professional advice for growing bountiful gardens and creating beautiful landscapes. Vist our website for access to reading current and past issues ON-LINE.